If you wish to feed a kangaroo or take a snap with a koala, Healesville Sanctuary is a must when visiting Victoria. The wildlife sanctuary is a little over an hour’s drive from Melbourne and is one of the best places in Victoria to get up close and personal with native wildlife. See and interact with an incredible variety of native wildlife including kangaroos, koalas, dingoes, emus, echidnas, wombats, reptiles and more. Melbourne on the Move host day tours to Healesville Sanctuary as part of our Yarra Valley, Puffing Billy and Healesville Day Tour. The trip includes a stop at Grants Reserve, famous for its incredible bird feeding area. Here you will get the chance to hand feed wild native birds such as Cockatoos, Rosellas and Parrots. The Penguin Parade at Phillip Island is one of Australia’s most popular wildlife experiences. Every evening at dusk tourists and local visitors flock to Phillip Island Nature Park to watch the little penguins swim to the shore and waddle along the beach towards their burrows in the sand dunes. The observation boardwalks and viewing stands make it possible for you to view the world’s smallest penguin in its natural habitat while appreciating the beauty and tranquillity of the surrounding natural environment. Penguin Parade is one of Melbourne on the Move’s most popular day tours. 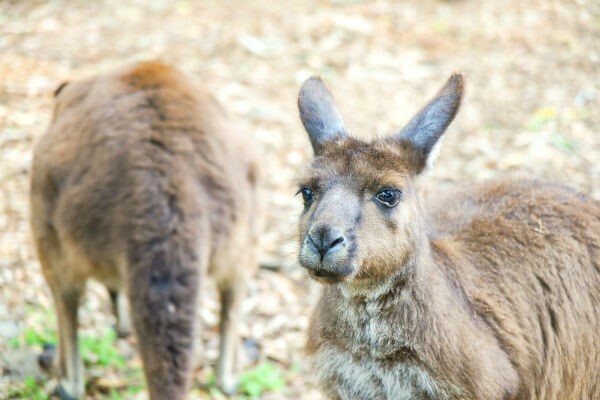 While the heroes of the tour are undoubtedly the little penguins, the trip also includes a stop at Maru Koala and Animal Park where you can pat the kangaroos and wallabies, get a selfie with a koala and discover an array of other native wildlife including parrots, dingoes and possums. The Moonlit Sanctuary is located around 50 minutes from central Melbourne at the top of the Mornington Peninsula, and en route to Phillip Island. The sanctuary is home to over 200 animals consisting of around 30 different species. These include the kangaroos, koalas, owls, dingoes, reptiles, birds, wallabies and possums. The conservation park is also proud to have achieved successful breeding of several rare and endangered species such as Julia Creek Dunnarts, Orange Bellied Parrots and Spot-tailed Quolls. If you and a group of your friends and family would like to visit the Moonlit Sanctuary at your own leisure, why not take advantage of our convenient bus hire Melbourne service. We’ll make sure your bus arrives on time and delivers you safely to the Moonlit Sanctuary. You won’t have to worry about using a GPS navigation device or stopping to ask for directions. Grampians National Park encompasses a wide range of habitats which support a wide variety of animals, reptiles, native fish, insects and over 200 bird species. There are a large number of threatened animal species such as the brush-tailed rock wallaby and long-nosed potoroo. A day trip to the Grampians National Park promises breathtaking scenery ranging from the – towering rocky plateaus to the fern gullies, not to mention one of the state’s largest waterfalls – Mackenzie Falls. Keep your camera handy as there will be numerous opportunities to spot wildlife in their natural habitats. Our one day tour to the Grampians leads you to the very heart of the Grampians National Park, on a visit to Brambuk Aboriginal Centre and includes lunch at Halls Gap.